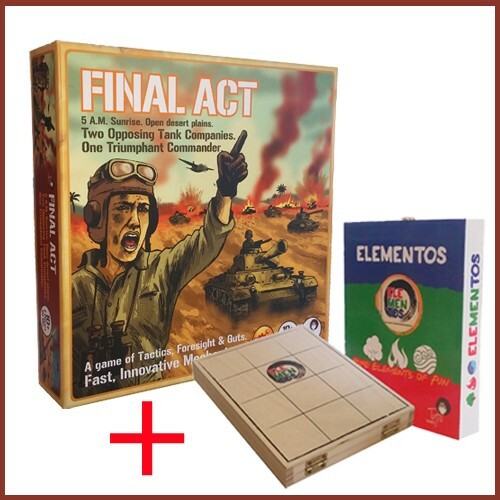 Get ONE ELEMENTOS and get ONE Final Act strategy board game (based on the Intelligence Officer pledge level). 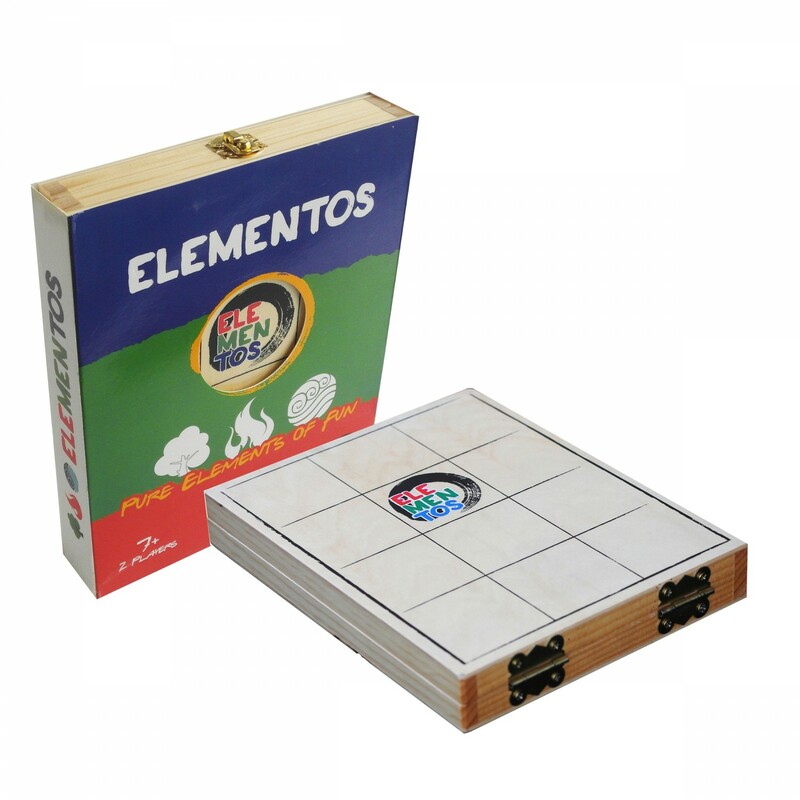 ELEMENTOS has had great first month in the market with many great reviews and enjoys a 5 star rating on Amazon. 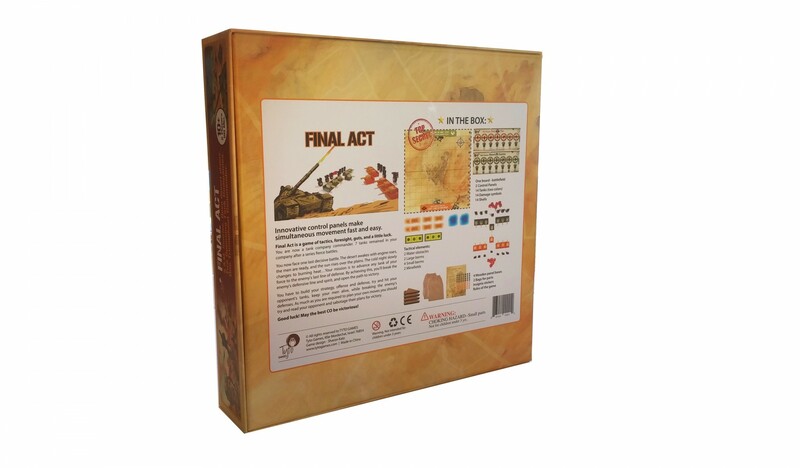 Final Act is an advanced gaming platform for tank commanders to be. 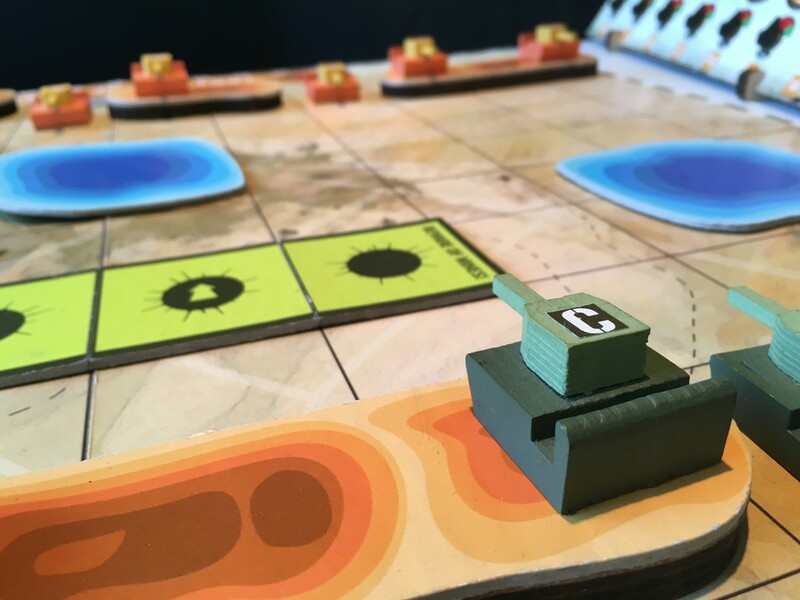 Final act elevates your tabletop gaming experience using a simple yet very versatile command center used to control your company of tanks and eliminate your opponent. Unfortunately your skills will leave no casualties to tell the tale of defeat! 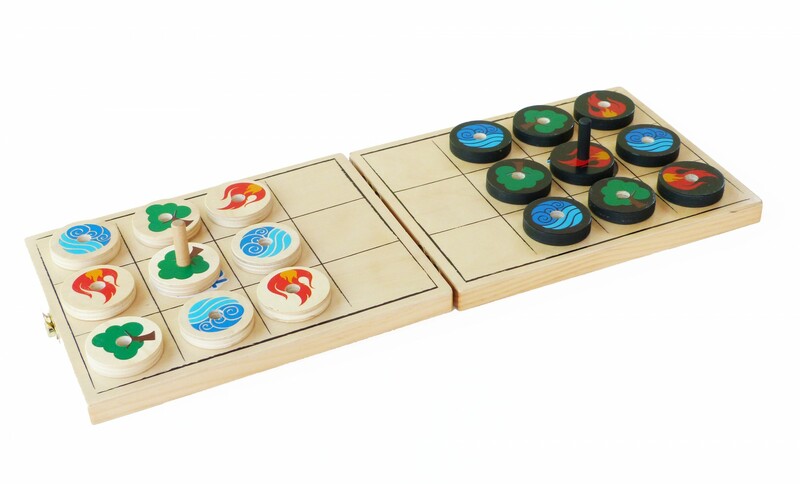 Successfully funded on Kickstarter, ELEMENTOS is a great portable light strategy game that is wholly made of wood and packs a great fun strategy kick, perfect for children vs. adults and even more so for a head to head thinking match with a serious friend. Successfully funded on Kickstarter by 307 awesome backers. 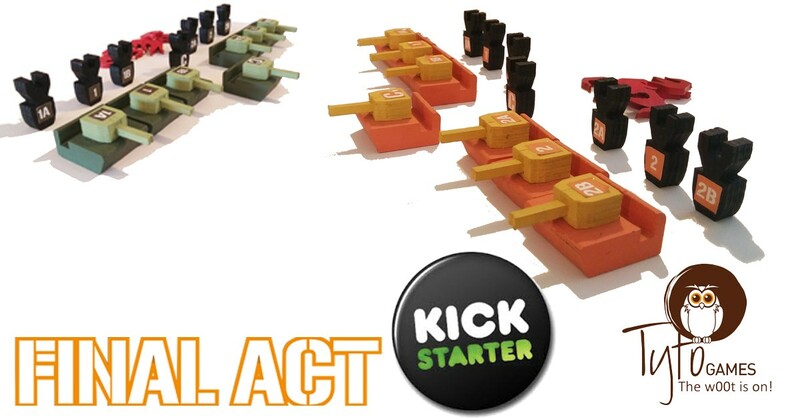 Final Act features innovative control panels that make simultaneous movement a load of action. 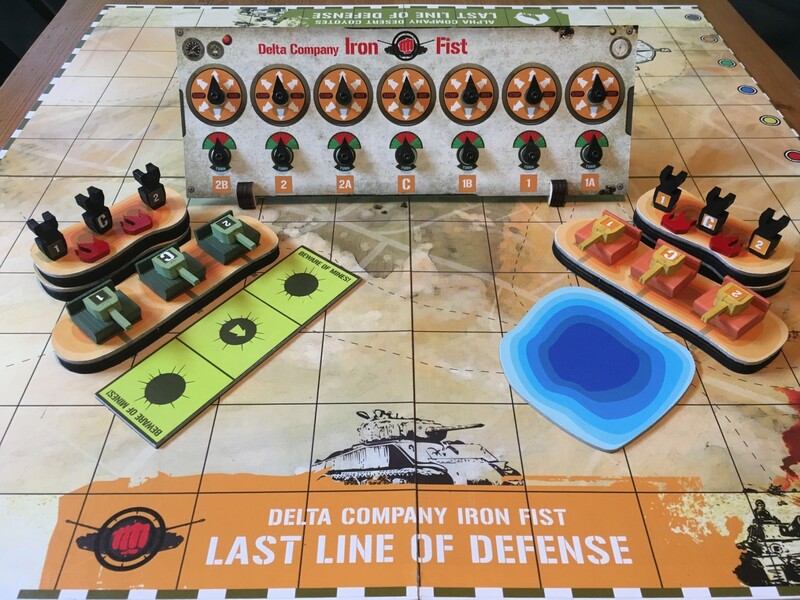 The game flows at a perfect rhythm as you set your movement orders and deploy your munitions. But nothing really prepares you for what’s about to unfold. 5 A.M. Sunrise. Open desert plains. Your company awakens. A light breeze carries scents of coffee and grease. 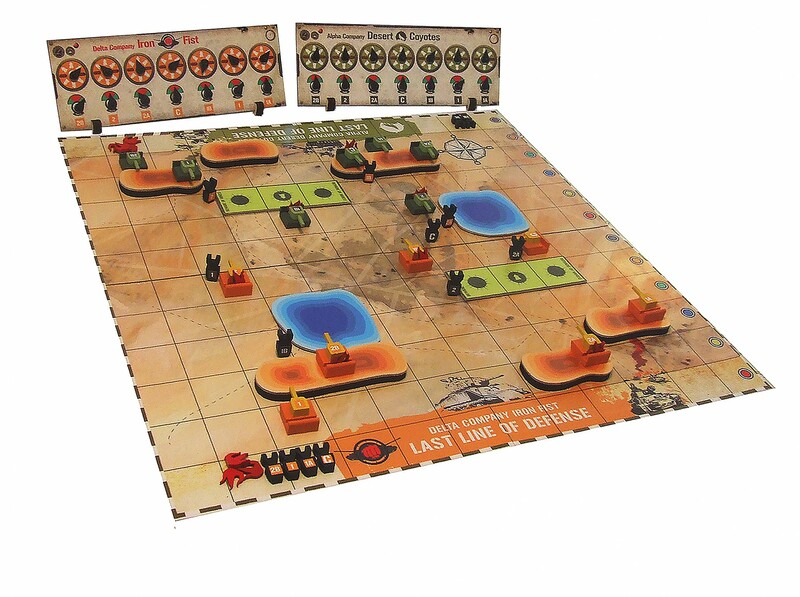 Your objective is clear, be the first commander to advance any of your tanks to the enemy’s “Last Line of Defense”. Under the cover of darkness you carefully designed your terrain, you’re ready! 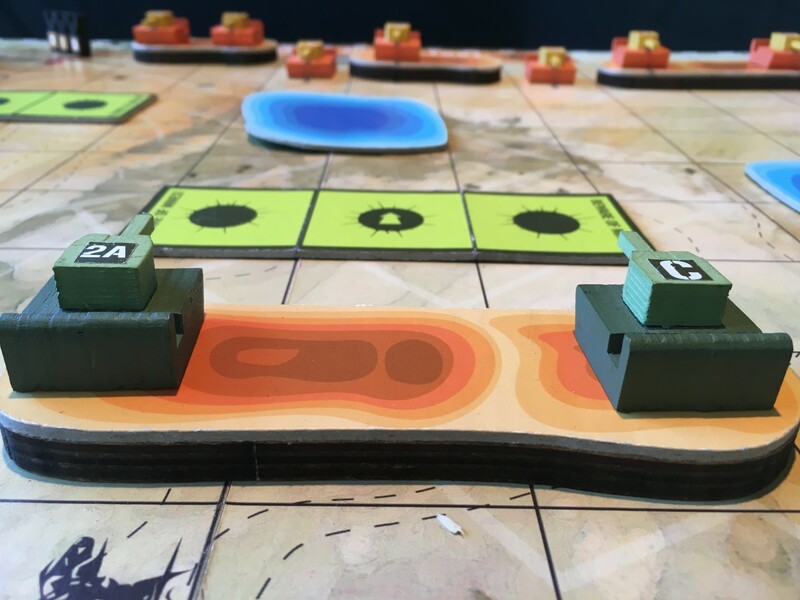 Your action plan is clear, your know exactly which platoon will take defensive position and which one will attack. But you wonder if your plan will hold. You know you’ll need to adapt, after-all your opponent is no easy game! 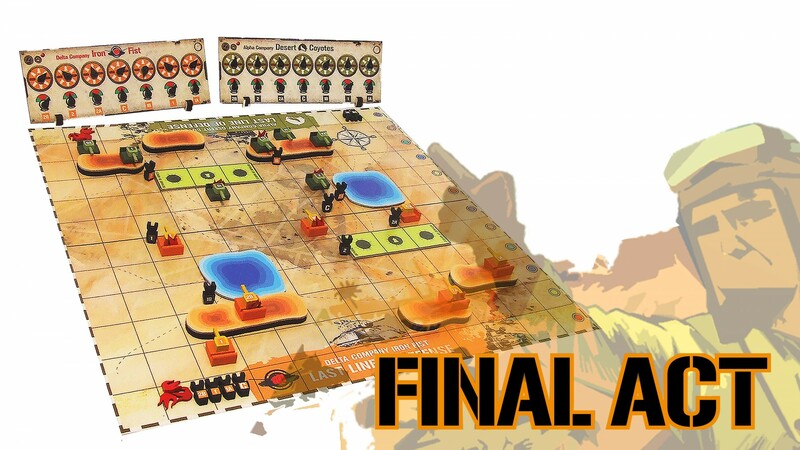 Welcome to Final Act, a game of tactical planning, guts, and a little bit of luck! 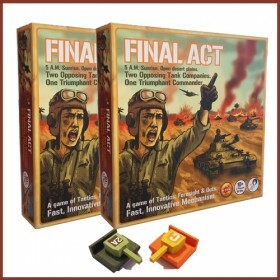 Final Act Strategy Board Game - get two games.